Fall is such a great time of year. I enjoy the crisp mornings, the beautiful color in the changing of the leaves, trips to the cider mill and of course Halloween. I have great memories of basically learning to sew while making my boys Ninja Turtle costumes. I can't even count how many trips I must of made to JoAnn Fabrics and asking so many questions. Of course that was before the internet and Youtube videos were so prevalent. I now cherish the images I have of my boys wearing their costumes. Maybe that is why I enjoy taking Halloween portraits today - I love seeing the kids beaming and excited in their outfits. Don't rely on Halloween day when kids are frantically trying to get out the door to go trick or treating, it is getting dark and snap shots are poorly lit. 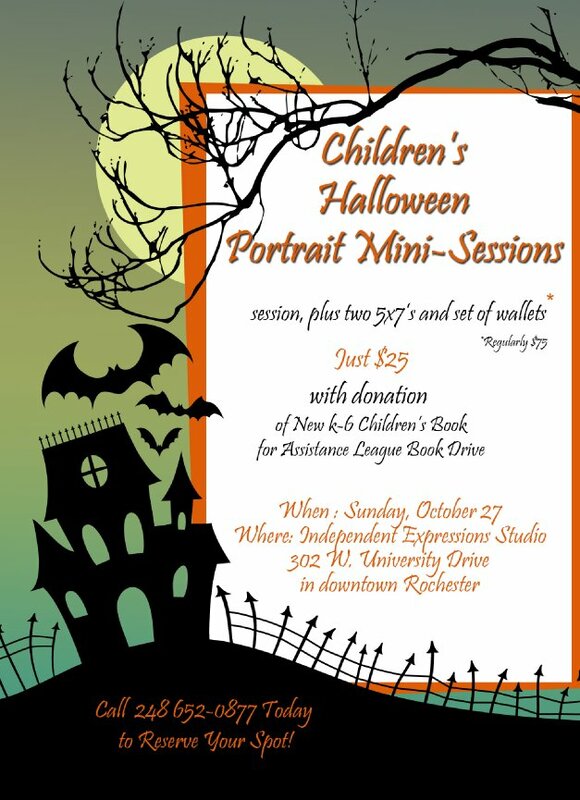 To have images you can treasure, book a mini-portrait session today here in our downtown Rochester, Michigan studio!